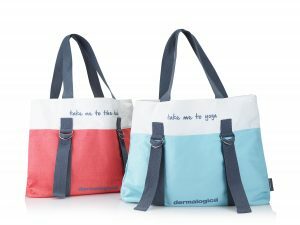 We LOVE these new limited edition Dermalogica tote bags! So much that we are giving them away… FREE! Spend £60 on Dermalogica products one of them being an SPF and you will receive a FREE tote bag ! There are two types of tote bags Beach and Yoga. Perfect bags for holidays or days out this summer! Be quick limited stock only!